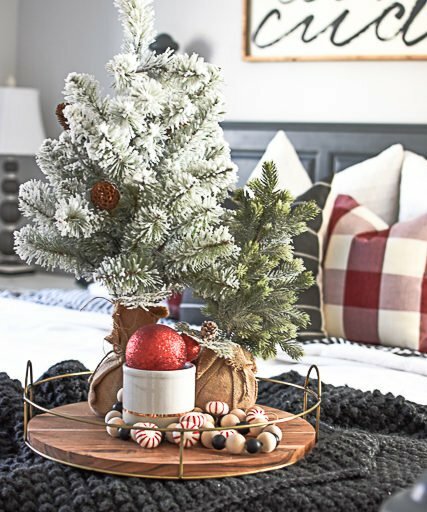 Every year when I am getting ready to pull out Christmas decor I always say to myself “how I am going to change things up with out it costing a fortune?” This year I decided to change things with some new pillows, garlands, throws and a few little trees. Super easy and cost effective. 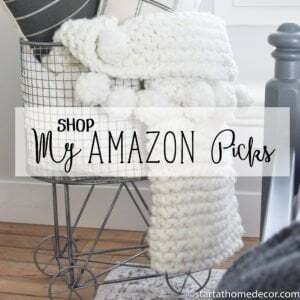 You can see all my affiliate links below! 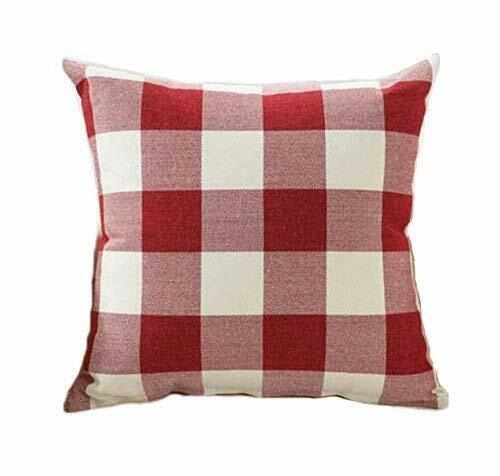 These red and white pillow covers are too cute! You can never go wrong with this color choice for Christmas. I love the classy red and white theme. 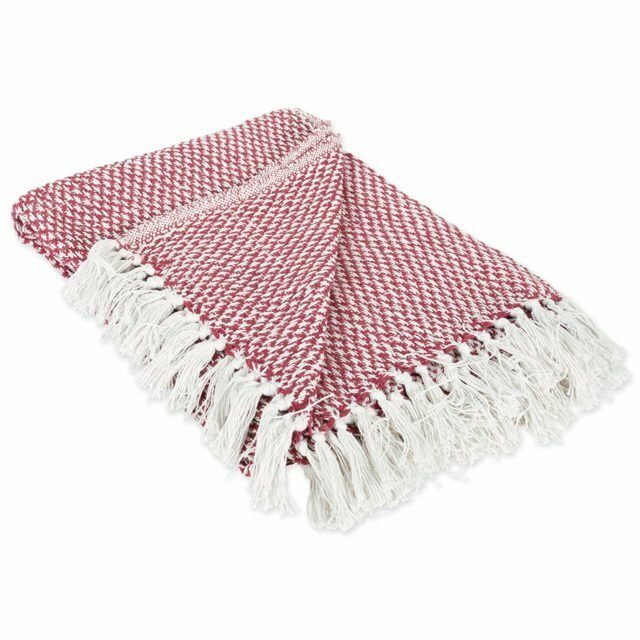 This is on my list again, because who doesn’t love buffalo check? 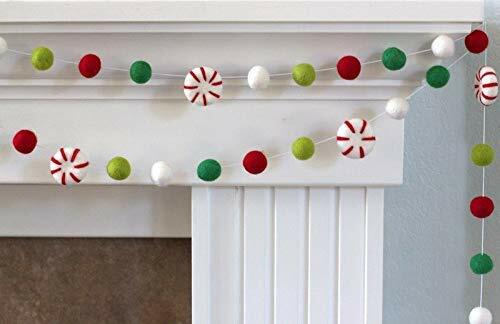 This is always a must for my Christmas decor. 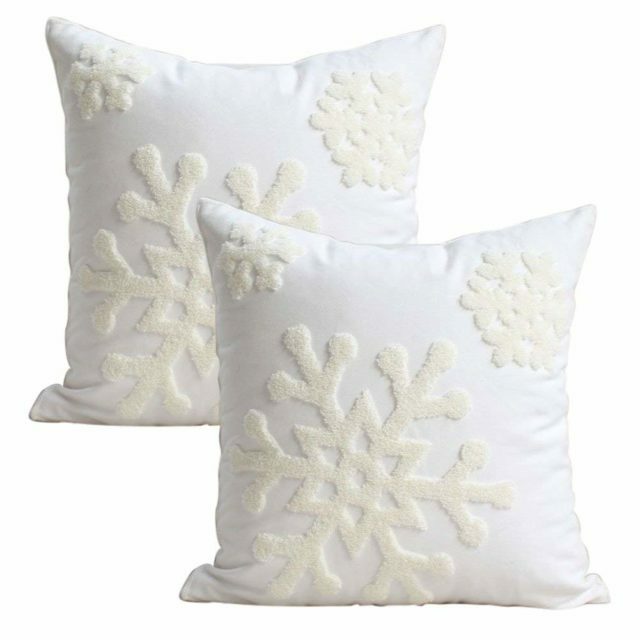 And I love these white snowflake pillows!!! 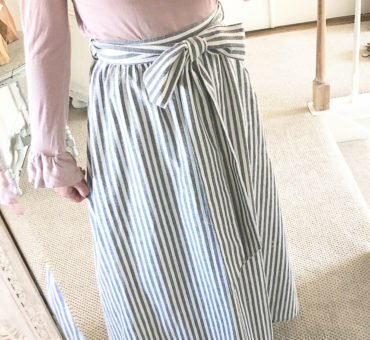 These work great for the winter holidays and into the new year. If you are loving the snowflake theme, take a look at these snowflakes too! I love them hanging up with my decor. 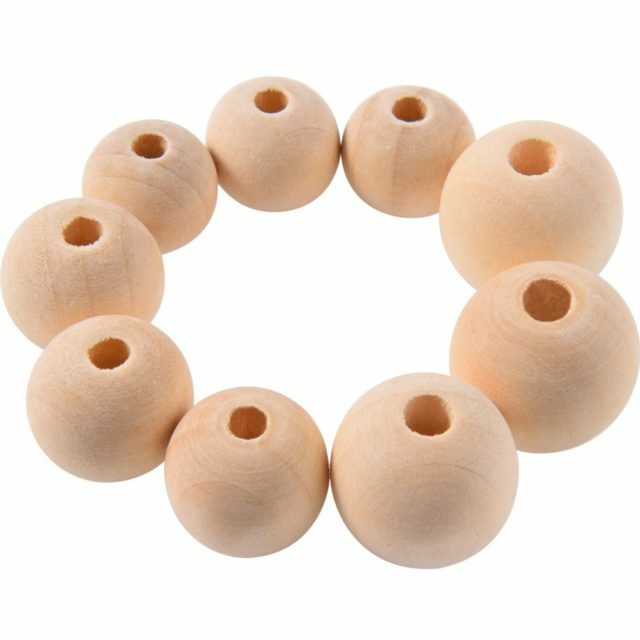 I love these wood beads because you can do so much with them. 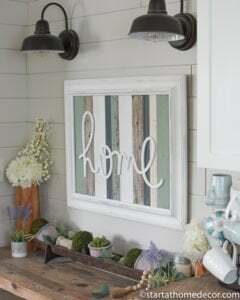 One of my favorites is to use them as filler decor inside or on my front porch. These are nice because they also come in a few different size options. Oh my goodness, I love garland and these are so cute!! 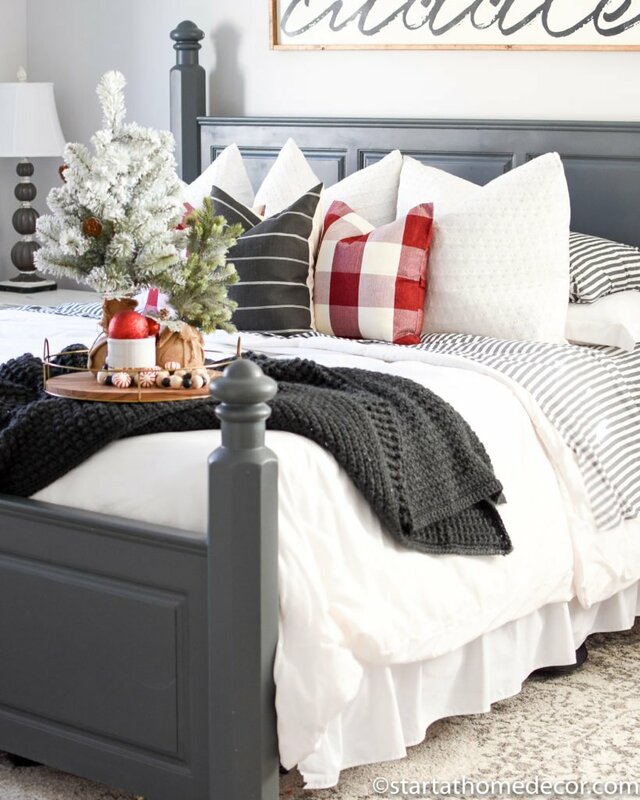 This peppermint candy theme is adorable and the tiered look makes it fuller. 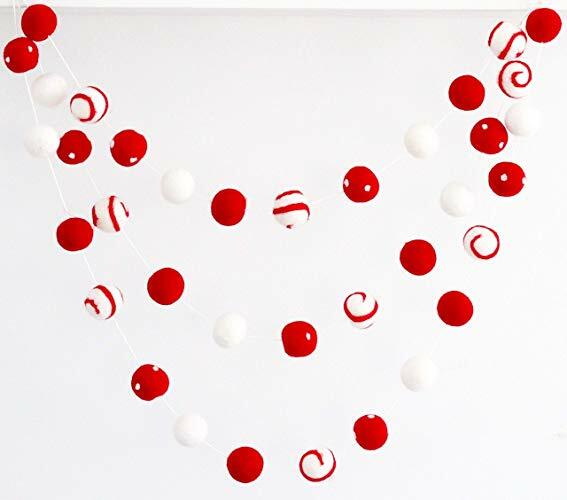 Here is another cute candy theme garland. So cute! 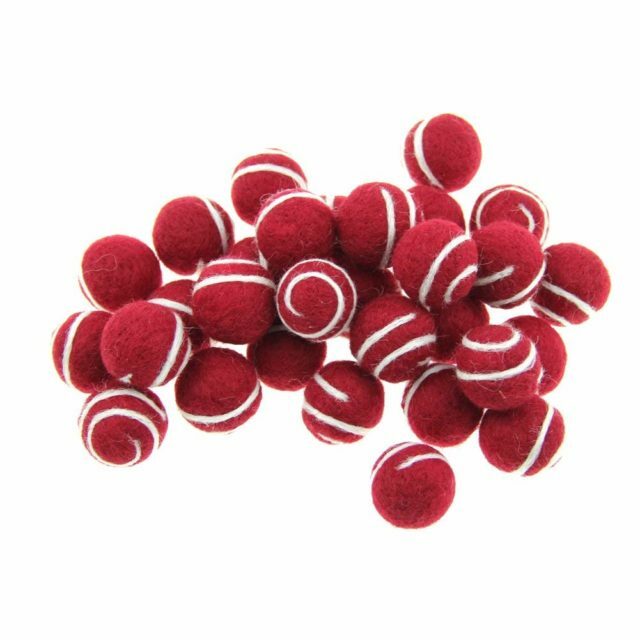 Balls like these are perfect filler items for jars or lanterns. I love the Christmas pattern. Ornaments have the same use, but these are less breakable. These are also a good option for making a wreath! 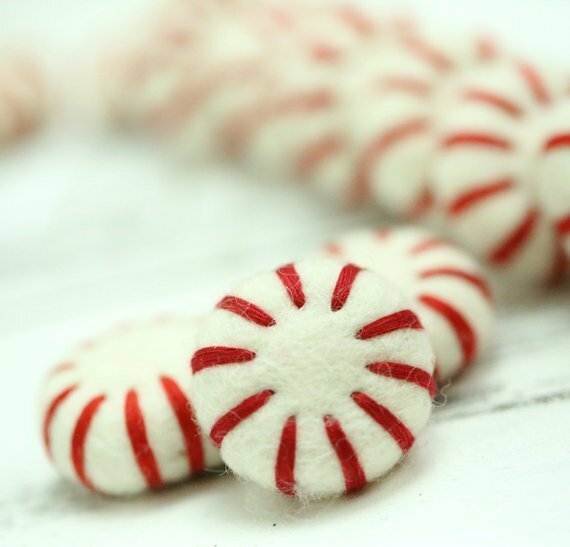 These are similar to above, but shaped like those peppermint candies. Another classy red and white option. 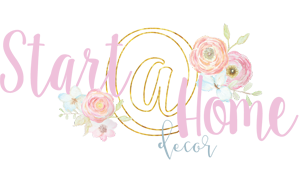 Throws and pillows are one of my love languages! Ha, not really, but they are perfect for any home decor. Get yourself a cute Christmas themed one like this, toss in a few pillows and you’re set! And, any time you can throw in more greenery, do it! 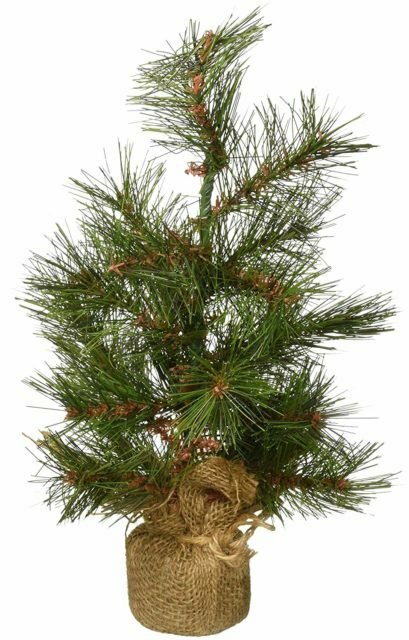 I love this small Christmas tree that is perfect for placing on a table or in an entryway with a few cute baubles. 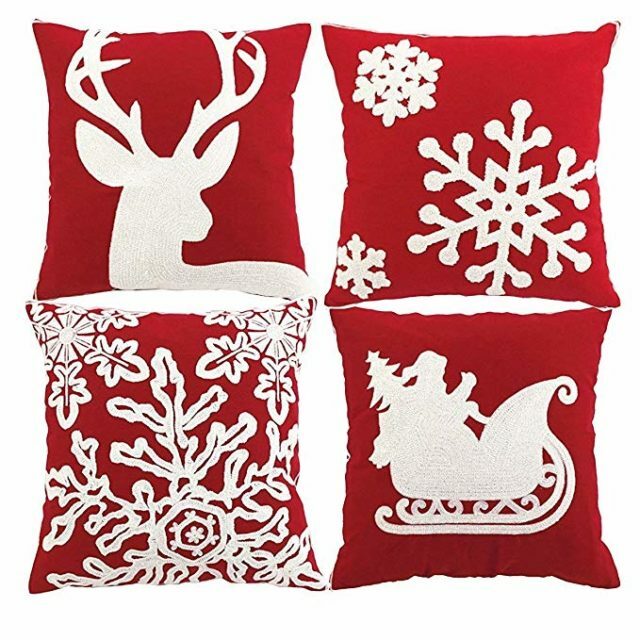 Have fun with this cute Christmas decor! Tree decorations don’t have to be expensive! Love all of your festive choices. Thx so much for sharing!